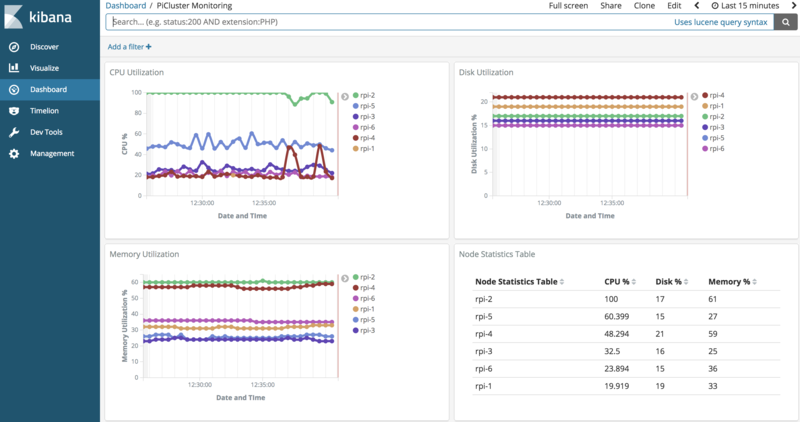 If you want to quickly spin up an Elasticsearch cluster with Kibana in Docker, check this out. 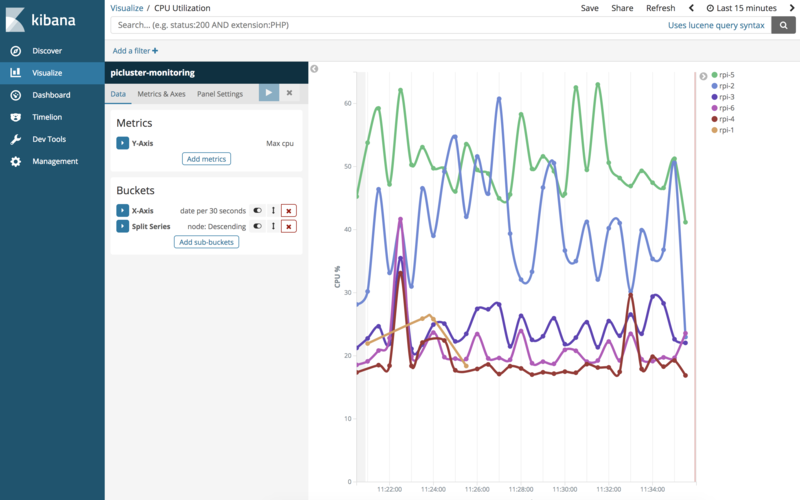 Starting in PiCluster 2.3, there are pre-set graphs available for viewing host metrics (cpu, memory, and disk). Click on Management -> Index Patterns. Under Time Filter field name, choose date. Repeat steps 1-6 for the picluster-logging Index Pattern. Click on Management -> Saved Objects. Choose CPU, Disk, or Memory. Feel like trying it out? Check out our dev branch to start playing with it now or wait for it to hit our main branch! To learn more about how PiCluster works, Check out our Wiki page. 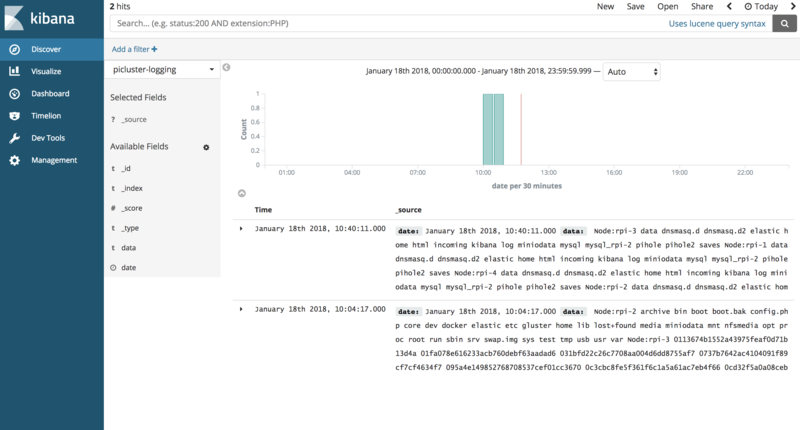 Previous PostGo Serverless with new PiCluster 2.2Next PostPiCluster 2.3 is out!